Korean glass skin is definitely the ïn thing"on skincare these days. One thing about Koreans that is definitely noticeable would have to be their clear, radiant and almost poreless skin. No wonder, Korean products have become very much in demand both online shops as well as physical stores in the country these days. But in as much as most of us would like to copy the exact DNA of Koreans, Filipinos have very different skin tones compared to our Asian counterpart. 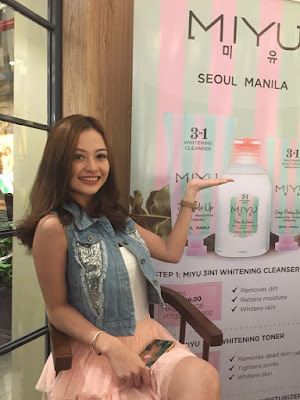 Luckily, Amway Philippines launched the Korean Skincare product line called MIYU last year. MIYU means "beauty within you." 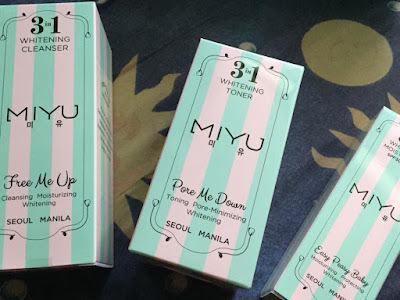 Filipinos need not fly to Korea to purchase authentic Korean skincare products because Amway through its MIYU skincare line has brought the products here and made it specifically fit for Filipina's natural skin tone. Since its arrival on the Philippine shore, MIYU has had a strong cult following already among the Korean skincare fanatics. It sells like hotcakes from its shelves! Amway Philippines recently invited Purple Plum Fairy along with other online influencers and bloggers to celebrate MIYU's first year anniversary in the country. The said event was graced by MIYU brand ambassador Krestle Deomampo who flew all the way from Davao to celebrate the said momentous occasion with us. 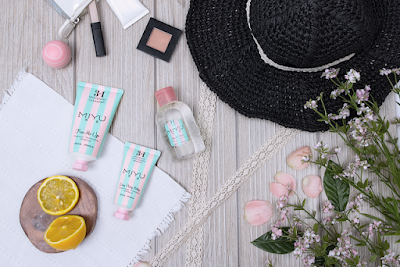 The best thing about MIYU's 3-in-1 skincare regimen is that it's so easy to use and it's reasonably priced. It allows you to save time and effort (when compared to other Korean product lines which are so much expensive using 5 to 10 steps of Korean skincare) and saves you money as well. I was able to discover MIYU's 3-in-1 skincare set composed of MIYU Free Me Up, MIYU Pore Me Down, and MIYU Easy Peasy Baby. I love the fact that they're Paraben-Free and they're not tested on animals. Amway has applied plant extracts with specific benefits on these products. An example would be incorporating buckwheat which is proven to provide against harmful UV-rays which prevents premature skin aging. It also effectively aids as an anti-oxidant and revitalizes the skin while brightening it as well. They also used Chaga Mushrooms which is proven to help decrease excessive sebum and helps tighten pores. MIYU 3-in-1 as well as the entire MIYU Skincare product line are exclusively distributed thru Amway dealers and is available nationwide. So for those who wish to fashion their skin as clear as their KPOP or KDrama idols, the Korean glass skin can now be yours with this pastel packaged skincare regimen from Amway Philippines. So that's all I can share with you now. Catch you up on my next blog post!